Meet Hyperstone in Hall 1 Booth 301 between the 26th and 28th of February to discover how their NAND flash technology enables industrially robust storage solutions. Konstanz, Germany 5. 2. 2019 – Flash controller design company, Hyperstone, will be demonstrating its new SSD controller and Health Monitoring solutions during the Embedded World 2019, which takes place at the Nuremberg Messe complex in Germany, between the 26th and 28th of February, 2019. Hyperstone will be showcasing its portfolio of NAND flash controllers and associated technologies, which include the hySMART™ Heath Monitoring solution. A live-to-view demo will be presented to give visitors a visual insight into the behind the scenes behaviour of a 3D NAND storage solution by displaying live bit errors as they occur during read activity of an SSD. FlashXE® eXtended Endurance technology and the patented sub-page-based hyMap® FTL (Flash Translation Layer), designed to get the most out of NAND flash and enable 3D flash for industrial applications, will also be presented and explained. “Our flash controllers, in conjunction with our industry-leading tools and firmware, provide a solution in order to relay on 3D NAND flash in demanding industrial applications with confidence,” said Sandro-Diego Wölfle, Product Manager of Hyperstone. Hyperstone´s VP of Sales, Steffen Allert welcomes industry professionals and interested visitors. 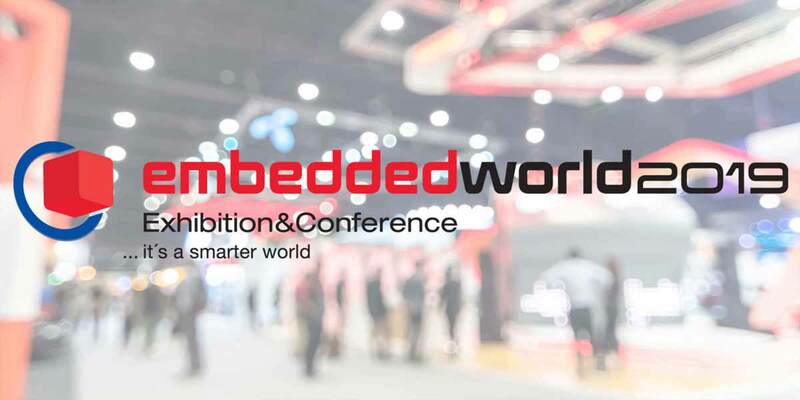 “The Embedded World is the leading international event for embedded systems. We encourage everyone working with flash based storage systems to join us and learn more about our extensive range of controllers and tools”. To find out more about the new family of products and all of Hyperstone’s flash technology, please visit Hyperstone on Booth 1-301 in Hall 1 at Embedded World 2019, 26th to 28th February, Nürnberg Messe, Germany.